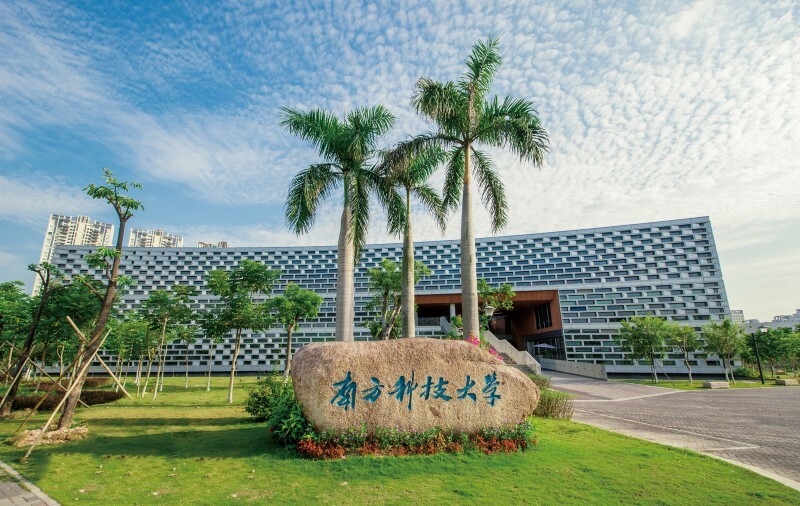 Established in 2012, Southern University of Science and Technology (SUSTech) has developed in leaps and bounds at its Shenzhen campus. Its international academics and lecturers conduct classes in their own style, giving every student a globally-focused and personalized education. 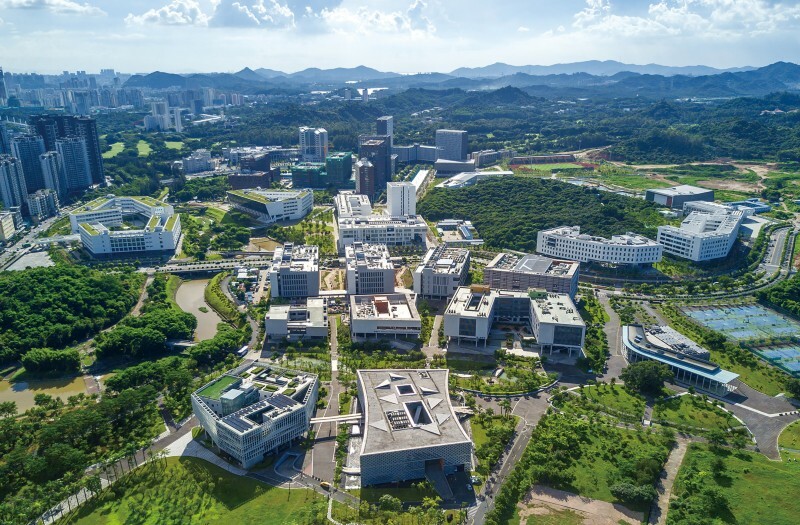 The Southern University of Science and Technology campus is a green oasis in the bustling metropolis of Shenzhen. Lush grass and trees surround the buildings, with brooks trickling through the grounds. Looking skyward reveals cranes throughout the university grounds as the continued expansion of facilities takes place at what locals call ‘Shenzhen speed’. SUSTech aims to establish a world-class university, to benefit Shenzhen, Guangdong province, and China as a whole. 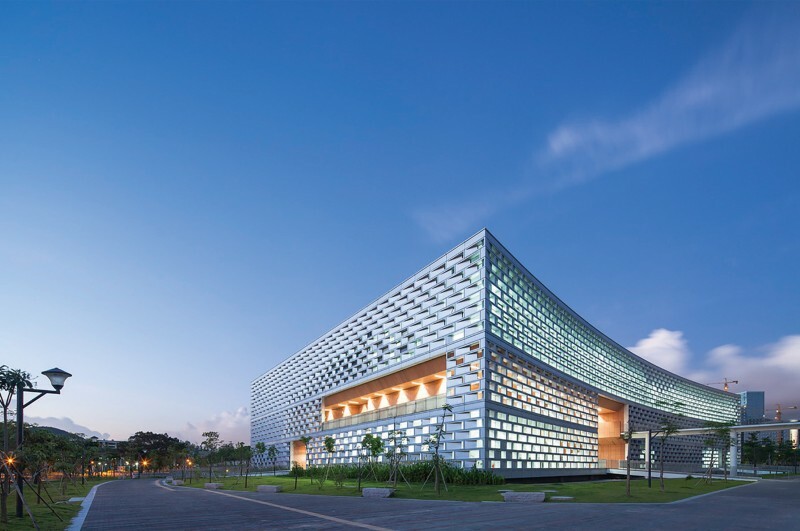 SUSTech’s central pillars are Research, Innovation, and Entrepreneurship, in line with its historic position as a testbed for higher education reform. SUSTech is a pioneer for new and innovative education programmes intended to cultivate and nurture talents from across the globe. The faculty and staff are drawn from far and wide, with over 90% having worked and studied overseas, and 60% having spent time at a world-renowned university. Many of its faculty members are recipients of funding from national or provincial talent programmes, including the Thousand Talents Programme, and the Chang Jiang Scholars Programme. As a young university, SUSTech strives for excellence and a unique educational experience for its students. By using a comprehensive evaluation system for undergraduate admission, student evaluation is no longer solely reliant on their national college examination scores. SUSTech also considers students’ high school transcripts (accounting for 10% in admission evaluation), and applicants’results from SUSTech’s own distinctive admission exams (accounting for 30% in evaluation). 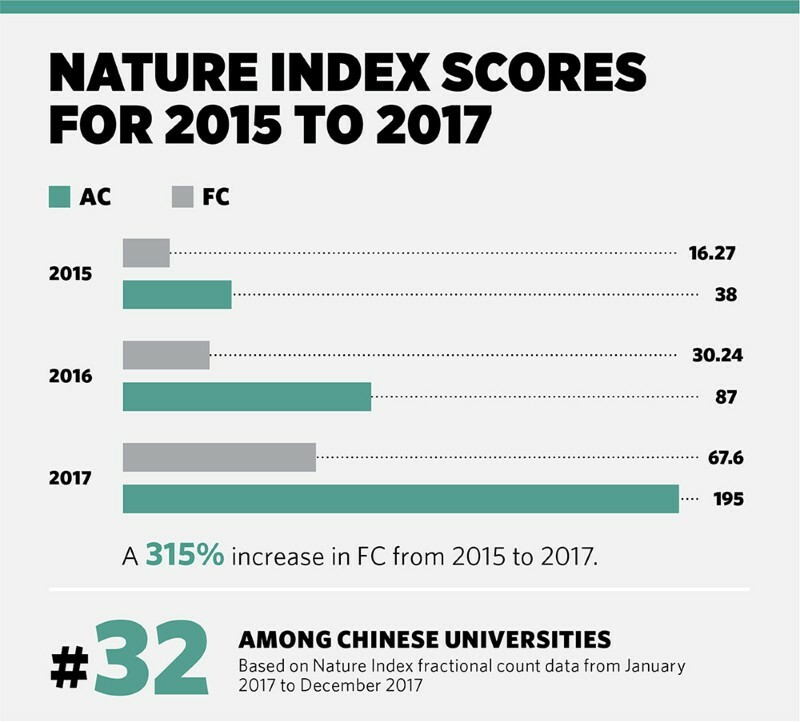 With most of the 2018 intake graduating in the top 1% of their provinces, this system has proved highly effective in attracting students from all over China to Shenzhen. SUSTech is not like other universities in its offering to students. Its broad focus on the lives of undergraduates improves their preparation for life after graduation. The residential colleges provide all students with a dual-advisory system, to provide assistance in academic and personal matters. Faculty members and staff have a broad world view and training, ensuring that the students receive a global outlook when they choosing electives from a wide range of schools and departments. SUSTech is a young and vibrant university, much like the city of Shenzhen. As the city evolves and achieves incredible milestones, SUSTech plays an integral role. You are invited to join in and help SUSTech in its quest to become a world-class, research-oriented university. The Southern University of Science and Technology (SUSTech) in Shenzhen, is seeking outstanding candidates for the Thousand Talents Global Recruitment Programme sponsored by the Chinese government. Applications are invited for all major science and engineering disciplines. Successful applicants will be appointed to the faculty of SUSTech at a level commensurate with their background and experience, from tenure-track assistant professor to tenured chair professor. SUSTech offers a generous salary and start-up package for recipients of the Thousand Talents Global Recruitment Programme. Benefits include: a competitive starting salary; a living subsidy of 2.75 million RMB (Thousand Young Talents) or 4.5 million RMB (Thousand Talents and Foreign Thousand Talents) over three to five years; a start-up fund of up to 12 million RMB; principal investigator and tenure-track systems; a housing allowance up to 8,000 RMB per month; and social insurance and welfare. Applicants should have a PhD in a relevant science or engineering field. Applicants for the Thousand Talents Global Recruitment Programme should be a professor or a senior researcher, while applicants for the Thousand Young Talents Global Recruitment Programme should have three years or more of overseas postdoctoral research or work experience. Applicants must have a proven track record of high-quality peer-reviewed academic publications, as well as excellent communication skills and the capacity to teach in English. If interested, please apply through the website at http://talent.sustc.edu.cn/en/enindex.aspx.